We currently have a number of Emergency Medicine positions available for Consultants and Senior Consultants to join one of the leading healthcare organisations in the Middle East - Hamad Medical Corporation. You will be a competent and skilled ED Consultant and have worked, in a substantive position, for a minimum of 6 months' post CCT, (or 6.5 years' post CCT to be eligible for a Senior Consultant post) . You will have proven leadership skills and experience of working within a multidisciplinary team. In addition, you will have an interest in medical education and teaching, providing both supervision and education to junior medical staff, medical students and other clinical staff. For more than four decades HMC has been dedicated to delivering the safest, most effective and compassionate care to all its patients. HMC manages 12 hospitals; nine specialist hospitals and three community hospitals, as well as the National Ambulance Service and home and residential care services. To meet the needs of a rapidly growing population, HMC has announced ambitious plans to expand capacity across its network through to 2030. This expansion plan includes the three newly opened hospitals in Hamad Bin Khalifa Medical City comprising Qatar Rehabilitation Institute, Ambulatory Care Centre and Women's Wellness and Research Centre. Finishing touches are also being made to Hamad General Hospital's new Trauma and Emergency Department which is scheduled to open shortly. HMC is also leading the development of the region's first academic health system; combining innovative research, top class education and excellent clinical care, and is committed to building a legacy of healthcare expertise in Qatar. 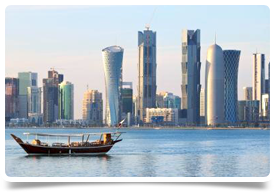 HMC collaborates with key partners who are experts in Qatar and beyond including Weill Cornell Medicine (Qatar), the Institute for Healthcare Improvement and Partners Healthcare, Boston.